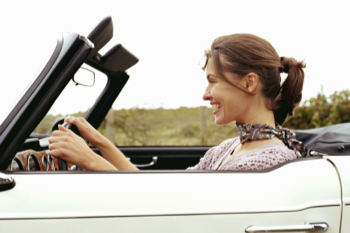 The freedoms of driving never gets old, but dealing with your state's motor vehicle agency might. Use our site instead as your go-to guide on driver-related info. Review the steps, paperwork, and testing requirements involved in obtaining a brand-new driver's license. Find the easiest way to renew your driver's license whether it's expired or quickly approaching expiration. Determine how to pay a fine, contest a ticket, sign up for traffic school, or read about points, infractions, and the impact on your license. Get first-time registration requirements including smog info, necessary forms, and fee calculation. Determine the registration fees and requirements and whether you should renew online, by mail, or in person. Save time by making an appointment online or find the address, phone number, and hours of the nearest state agency.